Indianapolis, Ind. (May 30, 1960) - Jim Rathmann of Miami won a record-breaking 500-mile auto race Monday on his 11th attempt, passing defending champion Rodger ward only 7.5 miles from the finish. 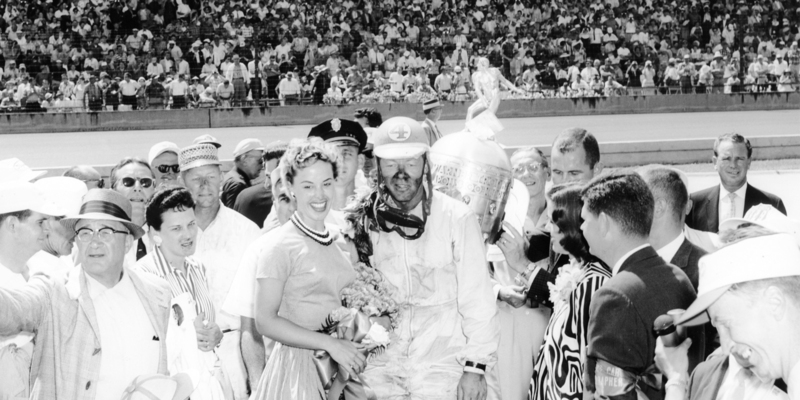 Ward, of Indianapolis, finished second, reversing their finish in 1959, but Monday's was much closer. Paul Goldsmith, St. Clair Shores, Mich., finished third. Rathmann's winning speed was 138.767 mile per hour beating Ward's 1959 record of 135.457, set last year. 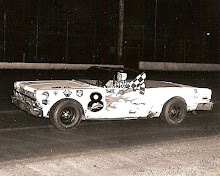 Goldsmith's third-place finish came in a battle with Don Branson, Champaign, Ill., who finished fourth, and Johnny Thompson, Boyertown, Penn., fifth. 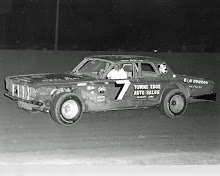 Running behind Thompson were Eddie Johnson, Cuyahoga Falls, Ohio, sixth; rookie Lloyd Ruby, Houston, Tex., seventh; Bob Veith, Oakland, Cal., eighth; Shorty Templeman, Seattle, ninth, and Bud Tinglestad, Dayton, Ohio, tenth. Ward in second place averaged 138.632 miles per hour. Goldsmith's average speed was 136.798 miles per hour. Rathmann beat Ward by 12.67 seconds as Ward slowed with a weakening tire. Sixteen other cars out of the starting 33 were chasing Rathmann and Ward in at the finish. Ward said a bad pit stop when he killed his engine may have cost him the race because he had to punish his tires so hard to get back into contention. He and Rathmann were nearly hub to hub for the last half of the race, until Ward slackened to avoid a tire failure. Only one driver was seriously injured. Eddie Russo crashed on the southeast turn. The track toll, however, reached 52 since 1909 with the deaths of two spectators, killed when a homemade infield stand toppled. Speed records fell at virtually every mile post along the way. The high speed grind knocked out the cars of Troy Ruttman, 1952 winner; Jimmy Bryan, who won in 1958, and Eddie Sachs, a front row, starter in three of his four 500-mile races. Ruttman and Sachs were among the lap leaders in the first 350 miles. Ward was the only former winner left after Ruttman and Bryan dropped out. Ward and Rathmann shared the front row with Sachs in the starting lineup. 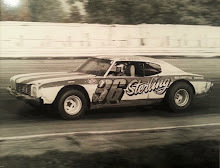 Ed Russo, driving his fourth 500, suffered a possible concussion when his car crashed into the retaining wall at the southeast turn in the only serious crash. 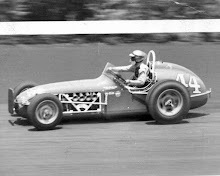 Tony Bettenhausen, a veteran of 14 races here, escaped burns in a fire-resistant uniform when he came into the pits with his car afire and out of the race. 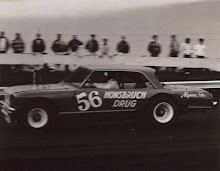 Jim Hurtubise, the sensational 500 rookie who broke time trial records, had pulled up to fifth place before mechanical trouble took his car out after 473 miles. Rathmann, 31, finished second in 1952, 1957 and 1959, and his 500 miles Monday gave him a total of 4,870 miles driven on the race track in 11 events, Rathmann's prizes probably would reach $110,000.